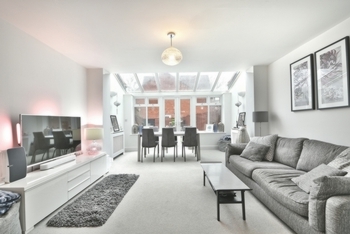 The property is presented in excellent condition throughout and is a must view. 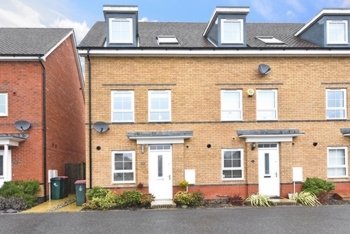 There is a generous rear garden, views over playing fields and two allocated parking spaces. 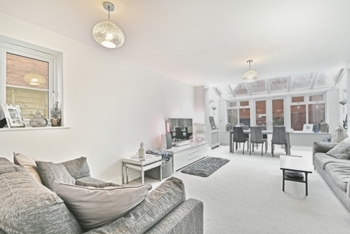 The house offers well balanced family space over three floors. 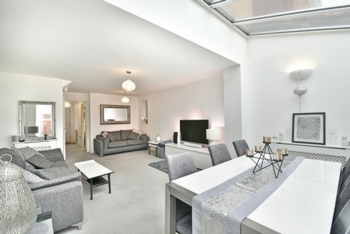 The accommodation in brief comprises to the ground floor; large entrance hall, lounge / diner, kitchen and W/C. To the first floor; bedroom two, three and family bathroom. 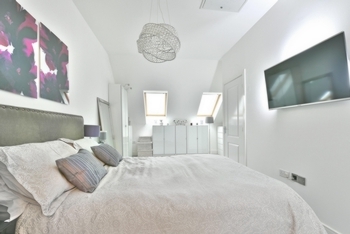 To the second floor; master bedroom with dressing area and en suite shower room. On entering the property you will immediately notice the impressive entrance hall with stairs to the first floor and ample space for shoes and coats. 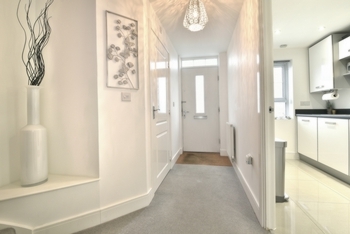 The entrance hall provides access to the downstairs cloakroom, kitchen and lounge/diner. 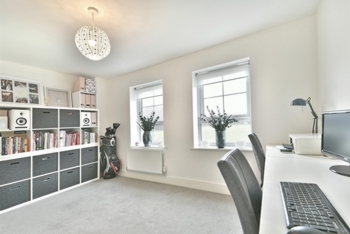 A door to the left of the entrance hall opens through to the stylish kitchen. 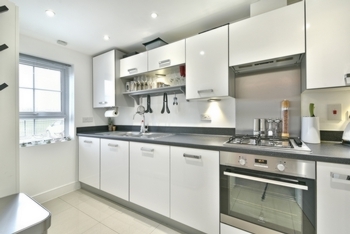 The kitchen is fitted with a modern range of base and eye level units with work surface surround and integrated appliances these include an oven, hob, dishwasher and fridge/freezer. 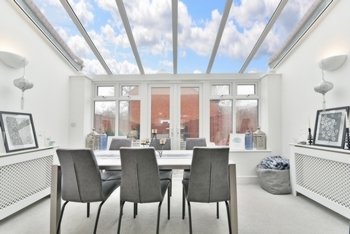 Natural light comes from the front aspect window which provides views to the playing fields. The spacious 23'1" x 13'3" lounge/diner is the perfect place for all the family to enjoy your evening meal and to sit back and relax of an evening. Double opening doors lead nicely out to the rear garden and patio area. 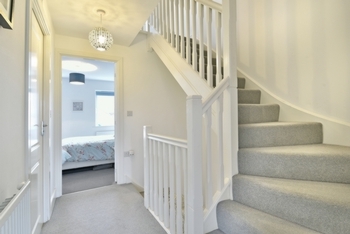 The first floor landing is accessed via stairs from the hallway and has a further staircase rising to the second floor. 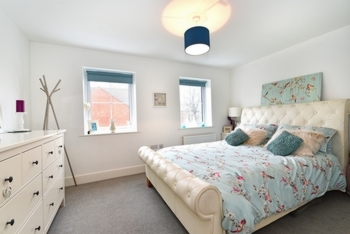 On the first floor are bedrooms two and three both offering space for free standing bedroom furniture and space for King-size beds. 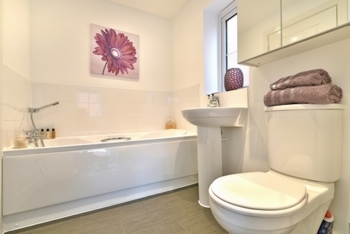 The family bathroom is on the first floor and is fitted with a three piece white bathroom suite with shower which is set against tiling to walls and floor. 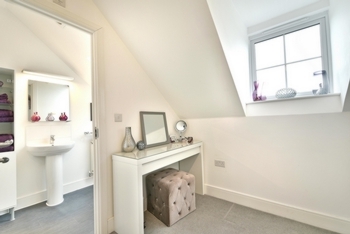 The bathroom is a Jack and Jill style, opening on the landing and also the second bedroom making an ideal guest suite. To the second floor is the Master bedroom suite which measures 28'6" x 8'11" and offers generous floor space and provides ample space for a super king-size bed. 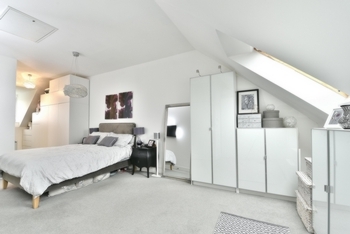 There is plenty of space for a range of wardrobes and a dressing area which provides access to the en suite shower room. 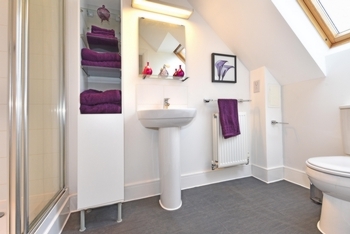 The ensuite shower room comprises a double shower tray, low level w/c and wash hand basin. 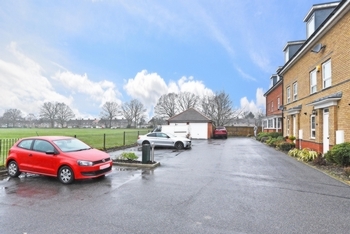 To the front of the property there are the two parking spaces for this home and beyond them you will enjoy views out over the local playing field. A pathway down the side of the house gives you access into the rear garden. 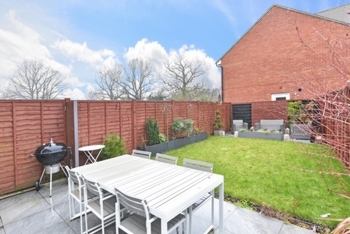 The rear garden is a real asset to the house, within the garden there is an area of lawn as well as a seating area which can hold a good size garden table and chairs. The property benefits from not being over looked to the rear.